The deadline to purchase early-season APDs recorded live at select events during the 2006 Summer Music Games Tour is only days way. After Friday, Sept. 29, all currently posted APDs will go offline to make way for the final performances of the 2006 season. 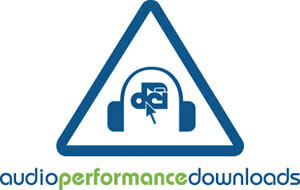 Follow the progress of 2006 performances this summer through Audio Performance Downloads. Maybe you're interested in finding out what the Glassmen sounded like on June 17, in Toledo, Ohio, compared to how they ended the season at the 2006 World Championships in Madison, Wis. Or maybe you want to track the progress of Santa Clara Vanguard from July 1, in Stockton, Calif., to the time they took the field during the Quarterfinals competition in Madison. Starting on Oct. 2, you'll be able to download Div. I Finals performances of the 1-12 place corps, Div. I Semifinals performances of the 13-17 corps, and Div. I Quarterfinals performances of the 18-23 place corps.